People like nothing better than a familiar and reliable place where they can buy their favorite treats and snacks. 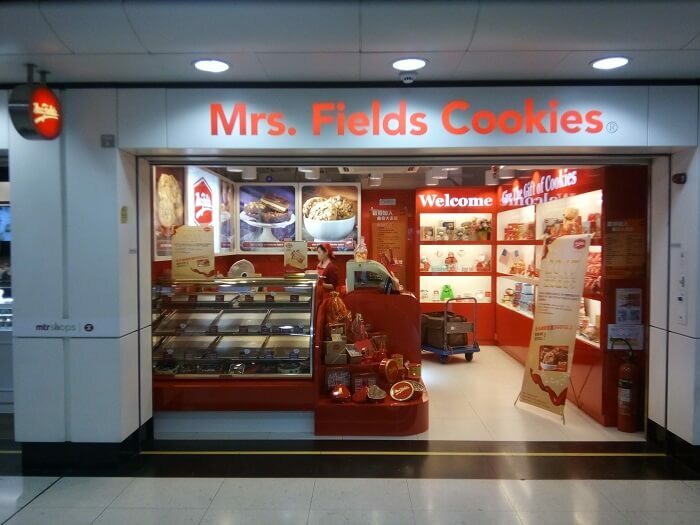 For many across the country, that place is Mrs Fields. With over 40 years of experience, Mrs Fields has established itself as one of the most important foods and groceries franchisors in the nation. To make its services even more convenient, Mrs Fields has created an incredibly convenient delivery service. In order to inform you, the present guide will go over the most important aspects of Mrs Fields delivery. 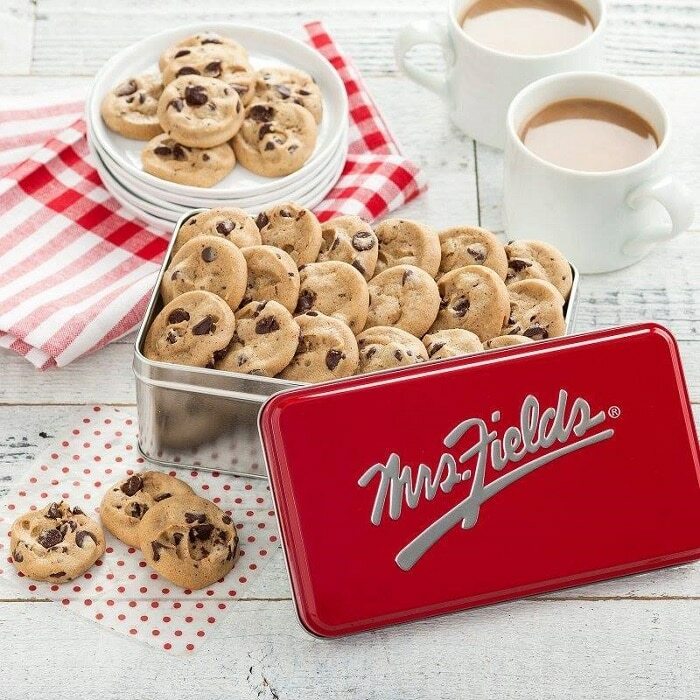 Founded in the late 1970s, Mrs Fields is an American franchisor that produces and distributes snack food items. It specializes in freshly-baked cookies and brownies. However, the company has also ventured into the production of other snacks and food items. Quite notably, Mrs Fields has become the largest retailer of soft-serve frozen yogurt in the United States. Apart from producing and distributing its own food items, Mrs Fields offers various retail grocery products. As if that was not enough, Mrs Fields also functions as a retailer of gifts and other branded products. To this end, the franchisor has entered various different licensing agreements. During the 1990s, Mrs Fields acquired many other brands in order to propel its business model further. These include the Original Cookie Company, Great American Cookies, Pretzel Time, Pretzelmaker, Hot Sam Pretzel Bakery, and TCBY. This bold business strategy has clearly paid off. The strategy helped the company expand and grow exponentially. Today, Mrs Fields’ organization includes more than 300 franchised and licensed locations in the United States and over 20 other countries. In order to further benefit its clientele, Mrs Fields has set up a delivery service. Shipping Mrs Fields’ quality products all over the United States, this delivery service has been recognized for its efficiency and dependability. The delivery service is completely managed by the company itself, ensuring customers will be completely satisfied. Arundel Mills: 7000 Arundel Mills Cir, Hanover, MD. Brea Mall: 1065 Brea Mall Brea, CA. Briarwood Mall: 100 Briarwood Cir, Ann Arbor, MI. Burlington Mall: 75 Middlesex Turnpike Burlington, MA. Coconut Point: 23106 Fashion Dr Estero, FL. Coral Square: 9469 W Atlantic Blvd Coral Springs, FL. King of Prussia: 160 N Gulph Rd, King Of Prussia, PA.
Livingston Mall: 112 Eisenhower Pkwy Livingston. North Georgia Premium Outlets: 800 Highway 400 St, Dawsonville, GA.
Santa Rosa Plaza: 1071 Santa Rosa Plaza Santa Rosa, CA. Silver Sands Premium Outlets: 10562 Emerald Coast Pkwy W, Destin, FL. South Hills Village: 301 S Hills Village, Bethel Park, PA.
Southridge Mall: 5300 S 76 St, Greendale, WI. The Falls: 8888 SW 136 St, Miami, FL. The Fashion Mall at Keystone: 8702 Keystone Crossing, Indianapolis, IN. Wrentham Village Premium Outlets: 1 Premium Outlet Blvd, Wrentham, MA. West coast delivery: Within 2-4 days. Utah delivery: Within 1-3 days. Midwest delivery: Within 3-5 days. Southwest delivery: Within 2-4 days. East/South delivery: Within 4-6 days. Alaska/Hawaii delivery: Within 3-6 days. Many potential customers across the United States will be happy to find out that Mrs Fields delivers packages to most locations in the country. As the following chart describes, the fees for this service will depend on the price of the order. Express PM delivery: Customers in most locations can place an order before Noon MST in order to get their package between 05:00 PM the next day. There is an extra fee of $16.95 per item delivered using this service. Express AM delivery: In order to get their order by noon of the next day, customers may also place their order before Noon MST and pay an extra $18.95 per item. It is important to note that this service is not available to all locations. Holiday gifts delivery: Conveniently for customers, Mrs Fields offers a great variety of holiday gift packages. Designed to fit every occasion, there are packages both for personal and corporate use. Gourmet gifts: Due to popular demand, Mrs Fields has set up a series of special gourmet gift packages. These include assorted tins, baskets, towers, and cakes. Corporate gifts: In order to satisfy its corporate clientele, Mrs Fields has established a line of corporate gift packages. One of the most popular such packages is the basket of cookies displaying custom corporate logos. After going through this guide, it’s easy to conclude that Mrs Fields delivery is one of the most efficient and convenient food delivery services in the United States (and perhaps the world). Have you ever tried this great service? If so, let us know in the comment section below! Hey Buddy!, I found this information for you: "Mrs Fields Delivery 101: Areas, Hours, Fees". Here is the website link: https://all2door.com/mrs-fields-delivery-101-areas/. Thank you.